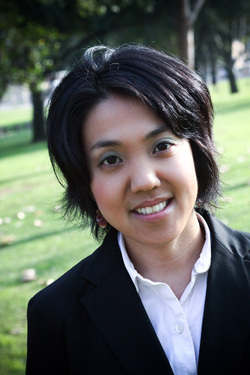 Marie Sato is an associate band director at Diamond Bar High School in Diamond Bar, CA. Marie completed her Masters of Music degree with an emphasis in instrumental conducting under Dr. Mitch Fennell, at California State University of Fullerton in 2010. Marie also completed two undergraduate degrees (Bachelor of Music and Bachelor of Arts) in music education and percussion performance in May of 2008 at CSUF. For nine years, she studied percussion under Professor Todd Miller, the principal timpanist of the Pacific Symphony Orchestra. Her other teachers include Brian Mason, Naoko Takada, and Jim Lorbeer. As a performer, she has performed with the International Youth Wind Symphony at the World Association for Symphonic Band Ensembles Conference in Ohio, Cypress College Wind Ensemble, Orange Coast College Orchestra, Claremont Winds, Orange County Symphony, Orange County Wind Symphony, Pacific Brass, John Alexander’s Singers, Rio Hondo Symphony, and Pacific Chorale.